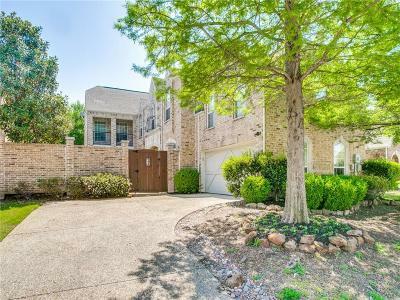 Beautiful 3 bedroom 3 bath home located in The Lakes on Legacy in Frisco. Open floor plan with 3 living areas and 2 dining areas. Large master bedroom with open master bath. Downstairs office-study could be used as 4th bedroom. Balcony overlooking in - ground pool with raised hot tub and tanning deck. Gated community with private pond and walking trails. Minutes to The Star in Frisco and Dallas North Toll way.